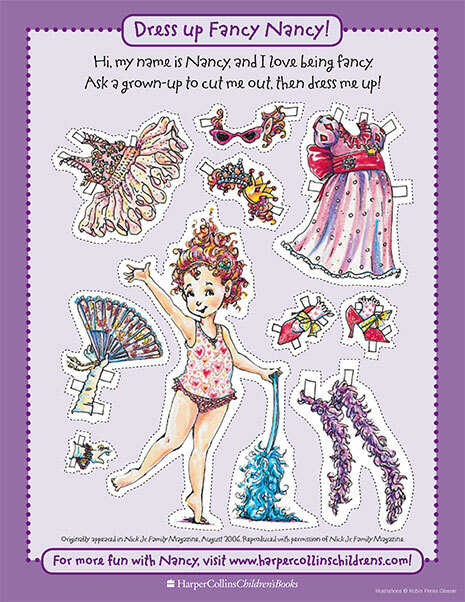 Dress up Nancy by mixing and matching these fancy outfits! 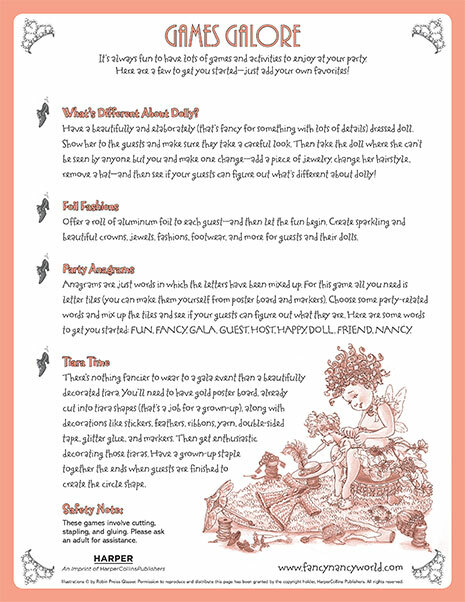 It’s always fun to have lots of games and activities to enjoy at your party. Here are a few to get you started! 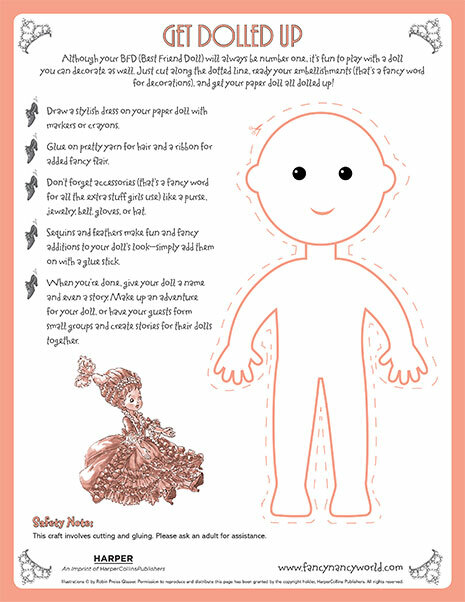 Cut out and decorate your very own fancy paper doll!